When i decided to go for something a bit bigger i looked around for a miniature railway that was affordable and also that i could ride behind. The cost of 7.25in gauge was out of my league and was too big for me to want to lug around the country as i dont have a massive garden. I then came across the perfect gauge of 5 inches which is big enough to ride on and take passengers but not to big to move around. I have had a love of narrow gauge railways since i was a teenager and wanted to model narrow gauge style locomotives and rolling stock. 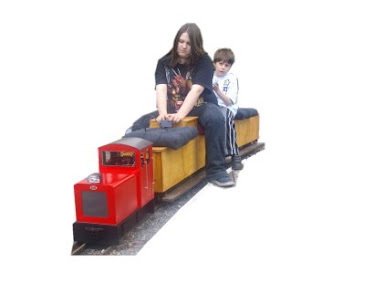 5 inch gauge is ideal for modelling 2ft narrow gauge at 2.5in :1ft scale as well as 1m gauge railways at 1/8th scale. I would like to create a forum for anyone that owns and runs 5 inch gauge railways and has an interest in narrow gauge style.